We strongly believe that customer service is what sets us apart from our competition. Please take a moment to see what our customers have to say about us. We would welcome the opportunity to work with you. We look forward to the opportunity to provide you with the same level of commitment, that these customers have come to expect from our company and technicians. I manage nine buildings in south Florida and of all the building systems I have, the AC system is the most important. That is why I will only allow only one contractor to service them, AIS. 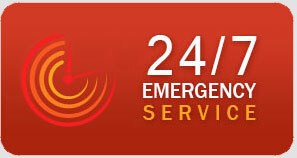 They are dependable, professional and reliable. No matter what time of the day or night I call someone always answers the phone and I know that when I hang up everything will be taken care of. Having that piece of mind makes my job very easy. I highly recommend AIS for all your AC needs. There are too many companies out there providing bad service and not caring if they really fixed the problem or not. I know when I call AIS they are going to take my call seriously and get someone out right away. They care about the customer and they will fix the problem. developed by Tight Line Marketing.